It’s safe to say that the Star Wars prequels (The Phantom Menace, Attack of the Clones and Revenge of the Sith) aren’t exactly highly thought of. Even before Disney purchased the franchise and delighted fans with The Force Awakens and Rogue One, they were much mocked examples of stilted dialogue, unnecessary CGI and iffy acting that everyone agreed couldn’t hold a candle to the classic trilogy. For those at the centre of these much-maligned films, life after Star Wars has varied. Ewan McGregor and Natalie Portman have put it all behind them and gone on to pick up a bagful of awards and critical acclaim. 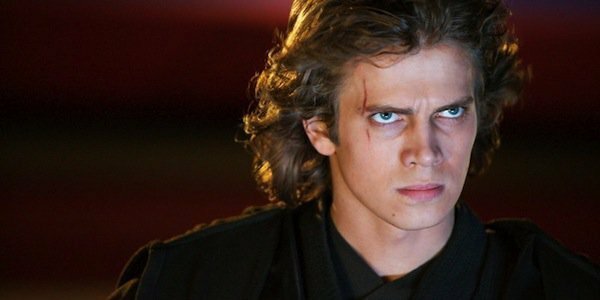 Some, however, haven’t done so well, with Hayden Christensen being a prime example. Plucked from relative obscurity by Lucas at just 19, he was given one of the most plum roles in science fiction, tasked with showing Anakin Skywalker’s descent into the black armor of Darth Vader. Yet, stung by criticism of his acting (let’s face it, he was awful – though Lucas’ terrible scripts bear some of the blame), he seemingly retired – more or less – and went to live on a farm. He emerged a few times to star in films like 90 Minutes to Heaven, which was subsequently savaged as “so deeply terrible it will make you question the existence of God,” but mostly disappeared into relative anonymity. Now, however, he’s making a return to the public eye, with a confirmed appearance at Star Wars Celebration 2017 alongside series icons Mark Hamill, Billy Dee Williams, Ian McDiarmid and Peter Mayhew. The official announcement says he’ll be meeting fans and signing autographs – indicating he’s decided to finally embrace his destiny and become a fan convention fixture. If he needs any tips, I’d advise he watch the excellent Carrie Fisher documentary Bright Lights, in which the sadly departed Leia actress gives a masterclass on dealing with Star Wars fans with grace and good humor.